Iron Sharpens Iron is a ministry of counselling and respite for missionaries and development workers. Christians are called to fulfil The Great Commission and The Great Commandment. Mackay Baptist Church offers such an opportunity through Iron Sharpens Iron, a faith–based Christian ministry. The objective of the Ministry is to uphold missionaries and development workers. Support is provided through no–cost counselling, facilitation, debriefing, and accommodation for renewal in a tropical setting. The Great Commission (evangelism and sharing the word) — Matthew 28:19-20, Romans 10:14-15 and Mark 16:15. The Great Commandment (development work) — James 2:8, John 15:12, Mark 12:31 and Micah 6:8. Support for those who serve — Proverbs 27:17 and 3 John 8. 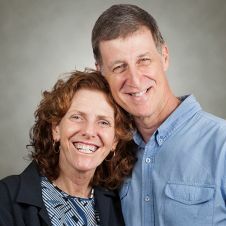 Dr Roger Van Der Veen and his wife Julie (a high school guidance counsellor) have two teenage children. Raised in a Christian home, he migrated from Canada to Australia as a young adult. He started providing member care services in 2004 when God called him to be involved in this area. His qualifications are BA, BSW (Hons), MSW, PhD, and MAASW. Since the 1980s, he has worked as a counsellor and facilitator, including seven years as a university lecturer. His employment history includes counselling, hospital work, mental health, child protection, community development, teaching and lecturing, research, and also the settlement of migrants and humanitarian entrants. People who are serving or have recently served for a Christian missions organisation (regardless of denomination) outside Australia. This could be in a paid or unpaid capacity. Participants can hail from any country. People who are speakers of English (or French) as a first or second language are welcome, as are their spouse and children. There is no cost or fee payable to participate in this Ministry, ie for the counselling or accommodation. However, all other costs are the responsibility of the participant. Examples are such as obtaining the relevant Australian visa, travel to and from the Mackay region, health and travel insurance, personal expenses, etc. The Ministry is able to provide self–contained accommodation in the Mackay region through Christian circles. Alternatively, the participant can secure his or her own accommodation, but will incur any costs. The participant can self–refer by completing an application form (available upon request). Before an application is accepted, a scanned letter (written in English) is required. The letter can come from the missions organisation or employing body. This purpose of this letter is to confirm the participant’s identity and status as a missionary or development worker. Additionally, if the participant is not an Australian citizen residing in Australia or permanent resident (ie holder of an Australian Medicare card), health and travel insurance is necessary. The insurance will need to cover the period of time whilst participating in this Ministry in Australia. Scanned evidence (written in English) of the insurance will need to be provided. Involvement with this Ministry is strictly confidential, unless the participant has signed an authority for the release of information. However, the exception is when there are legal or ethical requirements to disclose information. A support person is welcome to attend appointments, as long as the participant has given consent. A support person could be a spouse, partner, friend, or colleague. Mackay has a population of approximately 90,000 people. It is situated 1,000 km (600 miles) north of Brisbane on Australia’s eastern seaboard. There are daily flights from Brisbane to Mackay, which take about 1¼ hours. Mackay (right on the coast) is located in the tropics. Nearby are the world famous Whitsunday Islands on the Great Barrier Reef, only 150 km (90 miles) by road. The summer is the wet season, being humid from December to March. Summer temperatures in Mackay range from 30–34°C (86–93°F) during the day. The dry season is generally April to November. Temperatures range from 18–30°C (65–86°F) during the day, with June–July being the cooler time of year. Upon arrival in Mackay, the participant will be met and greeted at the airport by a representative of the Ministry. The participant will be settled in by being driven to the accommodation, and then taken on a short tour of the local area. Use the Contact Form at the top of this page to make contact with this ministry.